When companies and products die, their brands often live on. From Napster and Pan Am to Woolworth and Mister Donut - zombie brands abound. They have been resuscitated, redefined, or kept alive by unusual means. 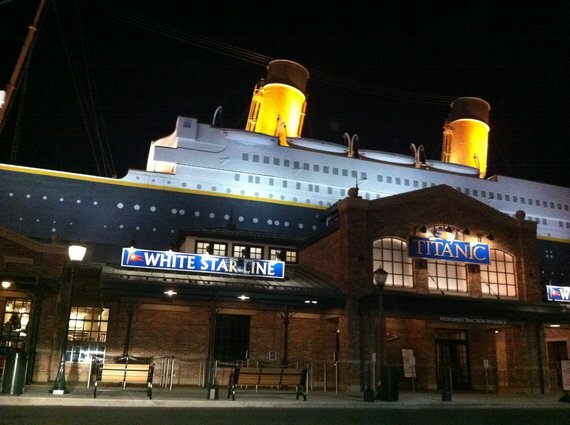 Why is Titanic such a bewitching brand, despite its sad origin story as the "unsinkable" steamship that sank in its maiden voyage? One popular explanation is the brand's resurrection through James Cameron's 1997 epic romantic film Titanic that is the second highest grossing movie of all time worldwide with an estimated $2.185 billion in earnings. A second popular reason is our society's morbid fascination with people and places associated with death, disaster, and devastation. This has created a profitable global industry known as dark tourism, which features deathly destinations such as London's Jack The Ripper Tour, San Francisco's Alcatraz Island, U.S.A Gettysburg Battlefield, or Italy's The Lost City of Pompeii. However, according to a recent study published in the Journal of Consumer Research, the key to unlocking this branding mystery lies first and foremost in the story's ambiguity. Consumer researchers Stephen Brown, Pierre McDonagh, and Clifford J. Shultz II find that "a spectrum of Titanic ambiguities, from confusion through contradiction to cumulation" help keep consumers' entertained by allowing their imagination and creativity to run wild. In the end, don't we all need a little more mystery to spice up our daily lives? The John F. Kennedy story is the perfect American story. You start off with humble beginnings, followed by a period of hard work, and finally the attainment of power. There is romance, the pursuit of ideals, the lurking of danger, and ultimately death at the height of one's panicle! It is no wonder that the "Kenny" story continues to haunt the collective conscious through films, documentaries, and books. However, outside of our voyeuristic desires to know more about Kenny there is a hunting belief among us. We tend to believe that Kenney's essence lives on in the objects he once owned, and you can buy this essence, for the right price of course. A few years ago, John F. Kennedy's golf clubs were auctioned off for over $1 million and his Air Force One bomber jacket for over half a million. Consumer researchers George E. Newman, Gil Diesendruck and Paul Bloom have looked at why people buy objects owned by celebrities in a recent Journal of Consumer Research study. The authors found that people tend to believe that one's essence can be transferred to objects, and that when it comes to willingness to pay, this belief played a critical factor when participants were determining the value of a celebrity's object. Alas, whether you believe in ghosts or not, we can safely say that whoever has those clubs and jacket also has a little bit of Kenney's essence with them, no?" Following a 35-year success story from selling doughnuts on the streets of Boston to becoming the second biggest doughnut chain in North America, Mister Donut faced a deadly challenge in the early 90s. New owner Allied-Lyons offered all stores the opportunity to convert to Dunkin' Donuts, the leading doughnut chain. In the blink of an eye, Mister Donut was erased from the American commercial landscape. Luckily, there was a glimmer of hope elsewhere. In 1983, Duskin Co. Ltd of Japan acquired Mister Donut's sales and trademark rights for Asia and began to open stores in Japan. The adoption of Western products by local consumers is often linked to a global trickle-down model. In this model, consumers around the world emulate Western goods, lifestyles, and practices in the hope of becoming "modern" consumers who enjoy the "good" (i.e., Western) consumer life. But how can it be that a brand like Mister Donut flourishes in Japan even after it has been entirely removed from its Western country of origin? A study in the Journal of Consumer Research can help provide an answer. The global spread of Western consumer culture, such as the doughnut and coffee culture, provides "an identity space where certain products and symbols can become representative," say consumer researchers Dannie Kjeldgaard and Soren Askegaard. To become the brand that is representative of this identity space and hence flourish in a foreign market requires a successful adaptation to local cultures and consumers. Brands then acquire lives of their own in foreign markets, more or less connected to their origins, and sometimes even without any material existence back home. As Mister Donut's over 1,300 stores in Japan and zero stores in North America demonstrate, a brand can be dead in one place, but incredibly alive in another. Just like zombies that never die and in one way or another feed on humans, this brand has been alive long since its plug had officially been pulled back in 1998. As we know from brand experts Albert Muñiz and Hope Schau, consumers' attachment to a product or brand can sometimes survive its abandonment by the marketer. In a Journal of Consumer Research article, they illustrate the power of consumer narratives and the enduring human need for religious affiliation. Religious, you may ask? Yes! Newton fans faithfully resisted against modernity and a world which would not include their beloved personal digital assistant. They deemed the product mystical, supernatural, and perfect despite the fact that it failed in the marketplace. Much like stories about zombies, legends were told about this product surviving extreme conditions that should have destroyed it -- such as falling from the roof of a speeding car. Another recurring theme in online communities dedicated to the Newton was resurrection -- people strongly believed that it will one day return. Fans' storytelling resembled urban legends stemming from unconfirmed rumors and accounted by unidentified witnesses. Sometimes these rumors can spread like wildfire. Remember the rumor about the sewer alligator in New York City? Remember the mass-poisoning rumors in Europe in the early 1990s that led consumers to avoid all foods from the list supposedly issued by a hospital in Villejuif (France)? Remember the stories about the P&G's satanic logo? Now, remember that time someone mentioned they saw an Apple-Newton-like device in the hands of a Disneyland employee four years after Apple had abandoned it? Fan stories like these kept the brand alive, albeit on life support. A discontinued, zombie-like formation that was stripped of the potential to foster new life, new brand extensions, new memories. 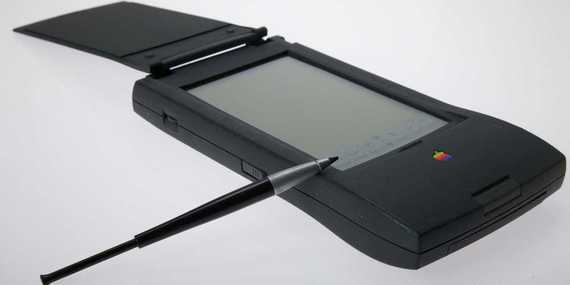 While the rumors of Apple Newton's reintroduction to the market were in the end just rumors, some 20,000 Newton fans are still defying the marketplace norms by continuing to use the product till this day. George Carlin, the late American comedian and social critic, stated that "America has no now... Our culture is composed of sequels, reruns, remakes, revivals, reissues, re-releases, recreations, re-enactments, adaptations, anniversaries, memorabilia, oldies radio, and nostalgia record collections." There is just something about the past that brings us comfort, makes us feel better about ourselves, and can even make us more empathetic. Marketing professors Morris Holbrook and Robert Schindler were among the first to show that consumers maintain, sometimes for the rest of their lives, those early imprinted preferences toward people, places or things that were common when they were younger. At a broader, societal level we sometimes experience communal nostalgia in the wake of world-changing events such as wars, revolutions, or environmental catastrophes. As consumer researchers Stephen Brown, Rob Kozinets, and John Sherry have demonstrated, consumers can resort to retro brands in order to connect to the communities which once upon a time shared those brands. In the Journal of Marketing, Brown, Kozinets, and Sherry explain that consumers interact with the cultural meanings of cult, nostalgic brands and expand them into social universes composed of stories. Few better examples exist of stories about "the yearning for what is gone but not forgotten" than that of Pan American Airways. Founded in 1927, Pan Am soon grew to be the principal international air carrier in the United States. Besides for its industry innovations, such as using computerized reservation systems and jet aircrafts, Pan Am was known as a cultural icon of the 20th century. It fostered high levels of customer commitment and developed strong ties to popular culture of the Cold War era. A well-remembered instance was the Beatles' landing to the John F. Kennedy airport aboard Pan Am's Clipper Defiance aircraft back in 1964. 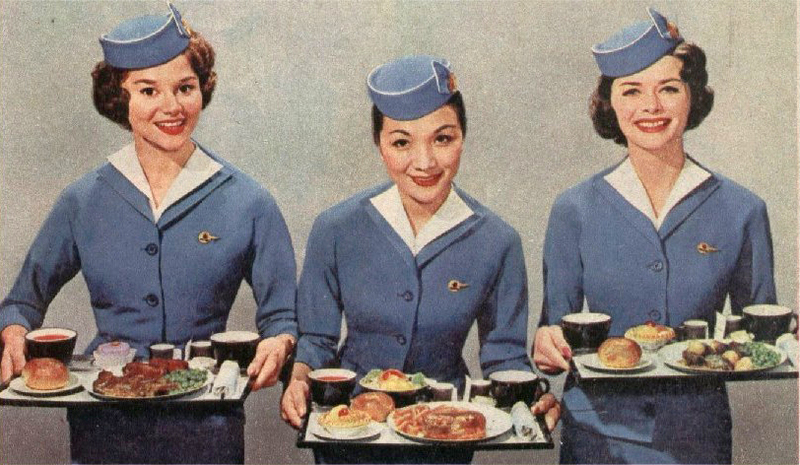 Largely due to mid-century nostalgia, the Pan Am brand was kept alive even after it was sold to Delta Air Lines in 1991. The brand was revived in 2011, when the American Broadcasting Company (ABC) aired a TV show titled Pan Am. In 2013, a nostalgia flagship store opened in Miami, FL called Pan Am & First Flight Out, which features model airplanes, old props, travel carry-ons, passport covers, and even chocolate wrapped in Pan-Am-themed packaging. In early 2014, Pan Am announced a possible reintegration of the brand which will once again provide scheduled airline services. This nostalgic zombie brand seems to have managed its meanings well among consumer communities and is coming back due to popular demand.